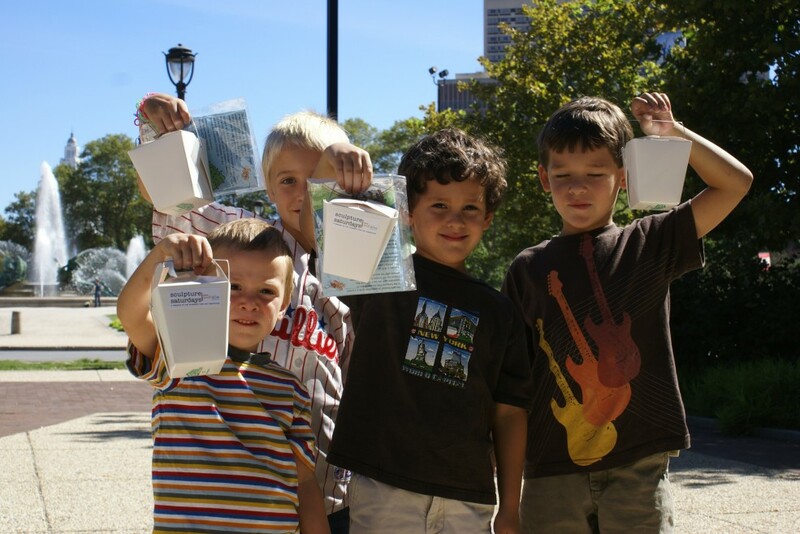 A program of the Association for Public Art (aPA), Sculpture Saturdays Presented by PNC Arts Alive was a series of weekly Saturdays during fall 2010 and 2011 that offered free hands-on public art programming for all ages, including artist-led sculpture workshops for kids, self-guided Museum Without Walls™: AUDIO iPod tours, Outdoor Sculpture Fun Guides for kids, a mobile docent squad of “Public Art Ambassadors,” live music performances and more. 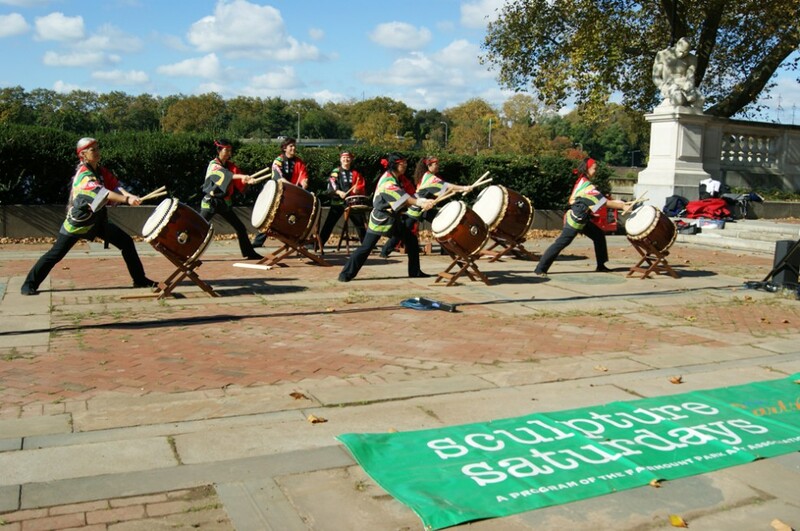 Held on the Benjamin Franklin Parkway in 2010 and on Kelly Drive in 2011 – locations where many outdoor sculptures have Museum Without Walls™: AUDIO programs – Sculpture Saturdays encouraged residents and visitors to stop, look, listen and experience Philadelphia’s public art in a new way. 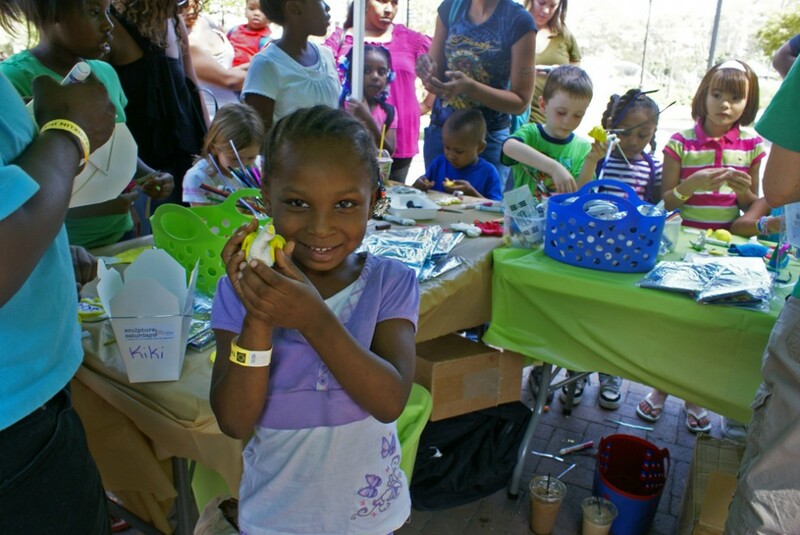 Sculpture Saturdays was made possible by a special grant from PNC Arts Alive — a five-year, $5 million investment from the PNC Foundation that supports visual and performing arts groups with the goal of increasing arts access and engagement. For more information on PNC Arts Alive visit www.pncartsalive.com. 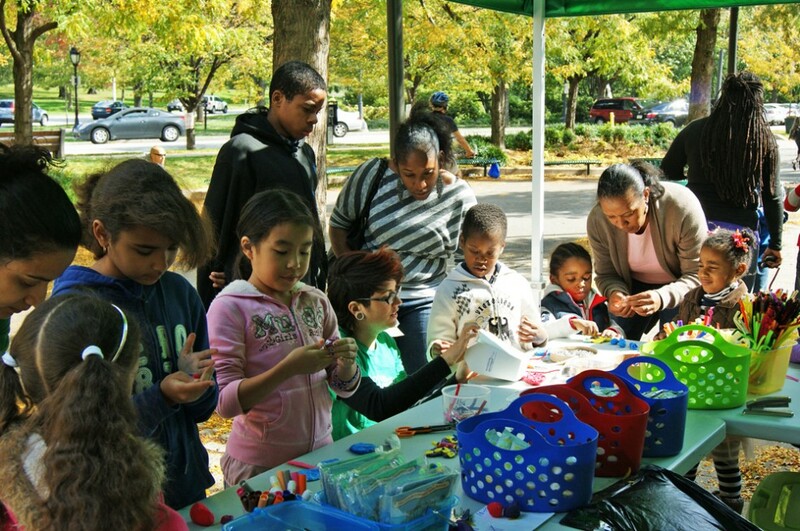 Children and their families could stop by the Association for Public Art’s workshop tent for sculpture-making activities led by Philadelphia artist Diane Pieri. 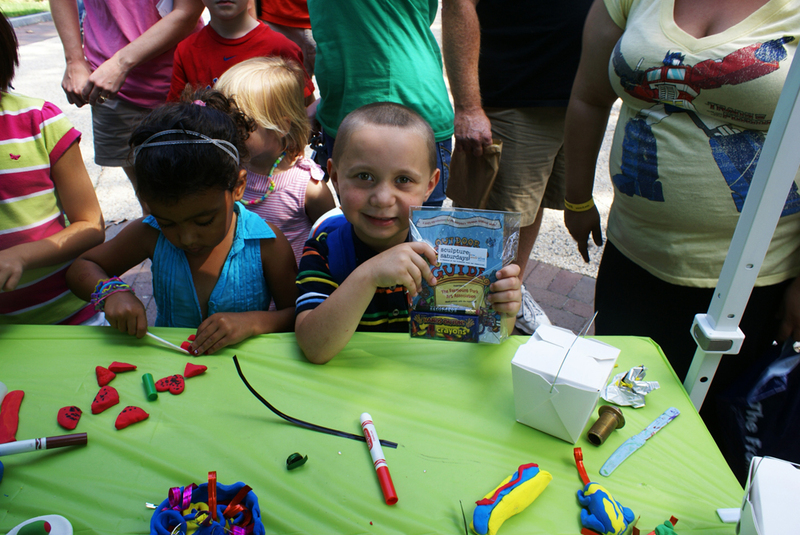 Participants were given packets of Crayola Model Magic and encouraged to make small sculptures inspired by the nearby public artworks. 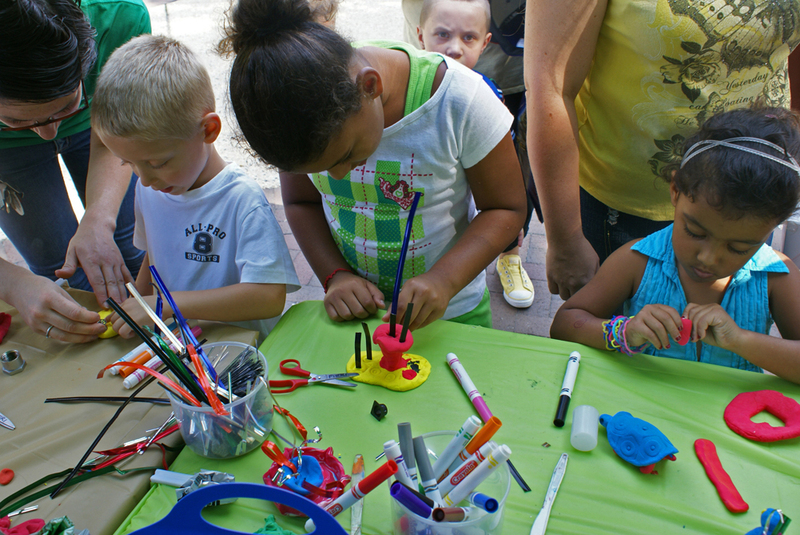 The sculptors mixed colors, created textures, and added embellishments to their creations. The children were given take-home boxes to protect their final products, and a professionally illustrated Outdoor Sculpture Fun Guide. Young sculptors at the workshop table. Photo Caitlin Martin © 2010 for the Association for Public Art. 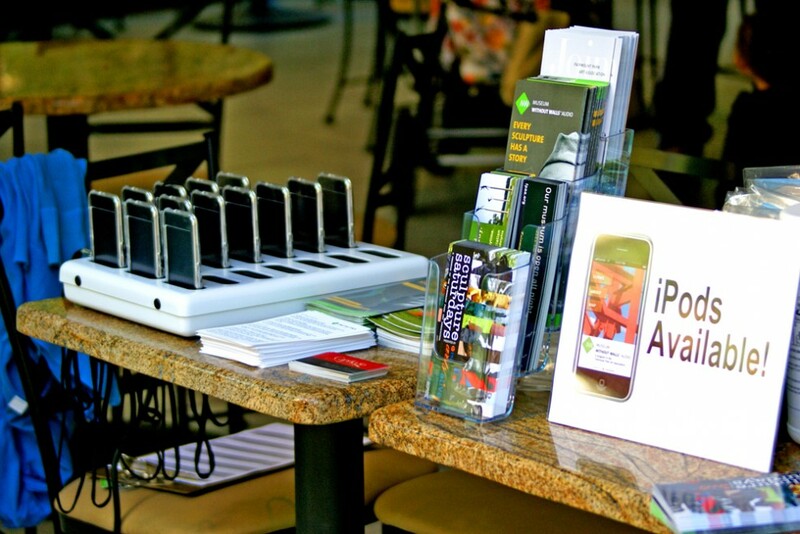 Those interested in taking a self-guided public art tour could borrow a free iPod Touch from our headquarters, pre-loaded with the Association for Public Art’s Museum Without Walls™: AUDIO app. Tour-goers could listen to brief stories about the sculptures along the Parkway and Kelly Drive, told by a variety of voices with a direct connection to the artwork. Taking a Museum Without Walls™: AUDIO iPod tour. Photo Caitlin Martin © 2010 for the Association for Public Art. A 14-page Outdoor Sculpture Fun Guide for kids, illustrated by professional illustrator Megan Bux, was given to all young Sculpture Saturdays participants. 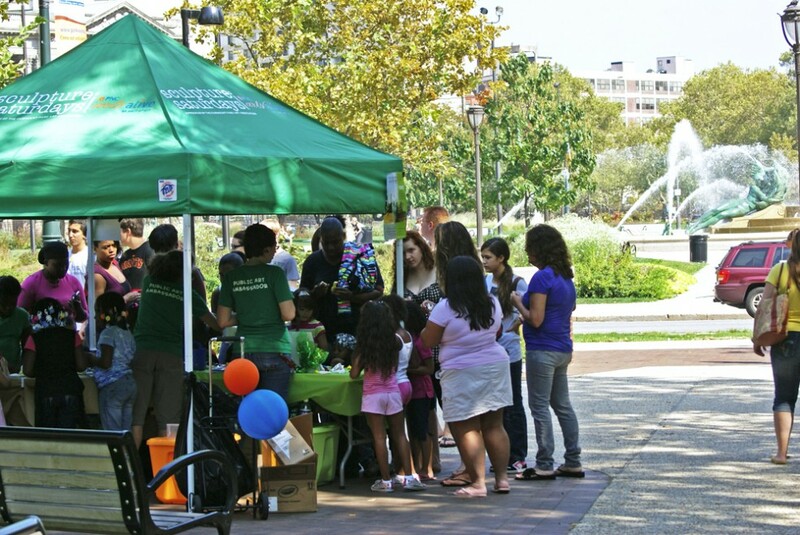 This full color 5” x 7” workbook features kid-friendly information about sculptures along the Benjamin Franklin Parkway, and includes five fun public art activities. The Association for Public Art also distributed these guides at local schools that expressed interest in receiving copies. 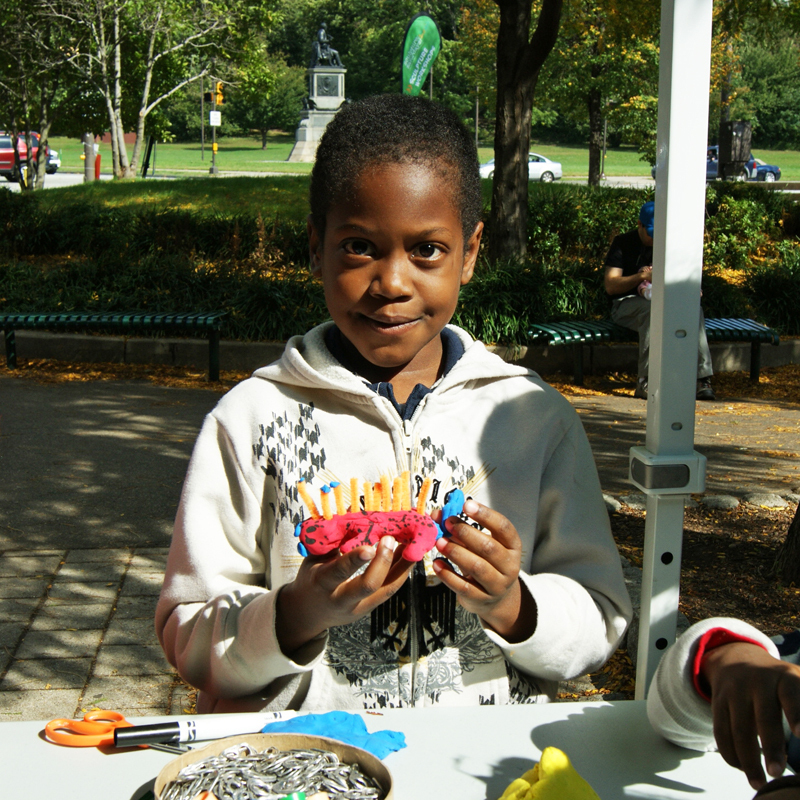 A young sculptor with his Outdoor Sculpture Fun Guide at the workshop table. Photo Caitlin Martin © 2011 for the Association for Public Art. 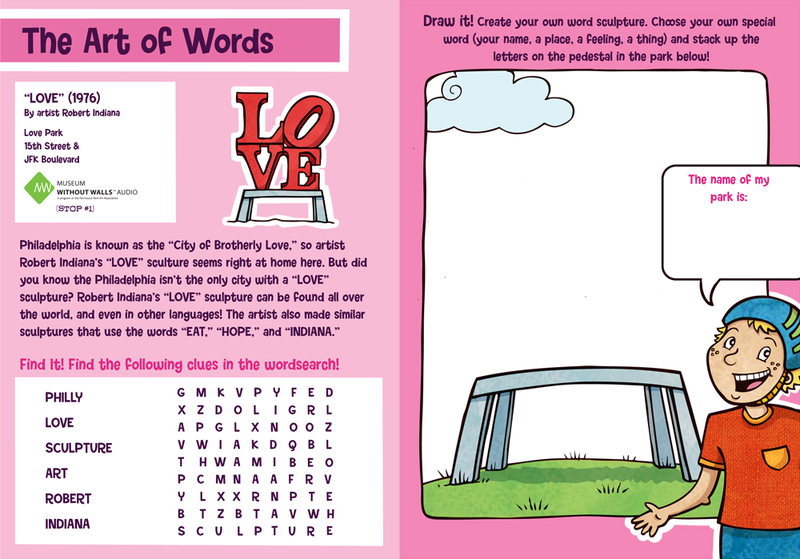 A page from the Association for Public Art’s Outdoor Sculpture Fun Guide for kids, illustrated by Megan Bux. 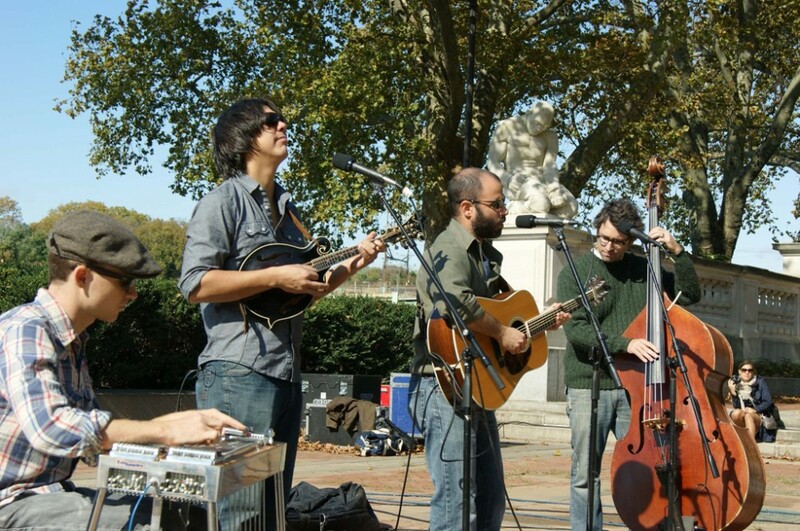 Live music performances were added to the Sculpture Saturdays program in 2011, taking place each week in the Central Terrace of the Ellen Phillips Samuel Memorial along Kelly Drive. 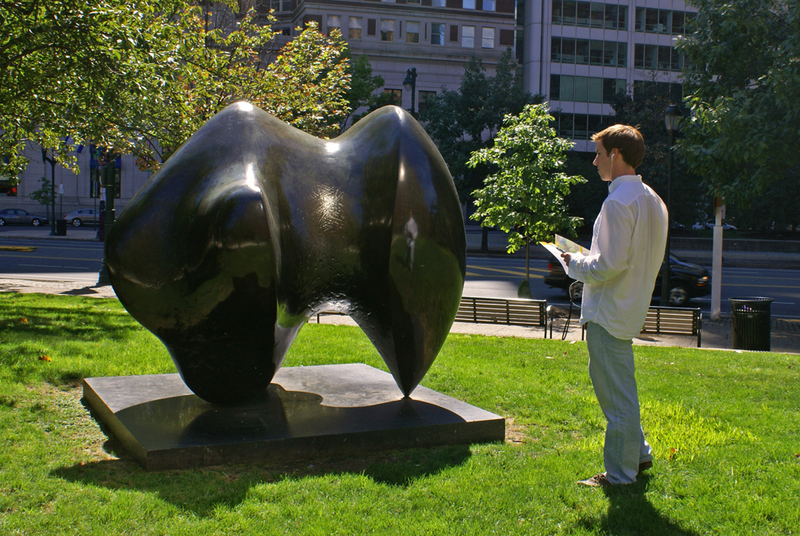 The Association for Public Art established and maintains the Ellen Phillips Samuel Memorial, which includes three terraces and seventeen sculptures that were commissioned over a period of thirty years. Groups that performed include The Adam Monaco Band (Folk Rock), MINAS (Brazilian), Trinidelphia (Calypso/Soca), KyoDaiko (Japanese Taiko Drumming) Marc Silver and the Stonethrowers (Bluegrass) and Alokli West African Dance (African Drumming). Marc Silver and The Stonethrowers performing in the Ellen Phillips Samuel Memorial. Photo Caitlin Martin © 2011 for the Association for Public Art. 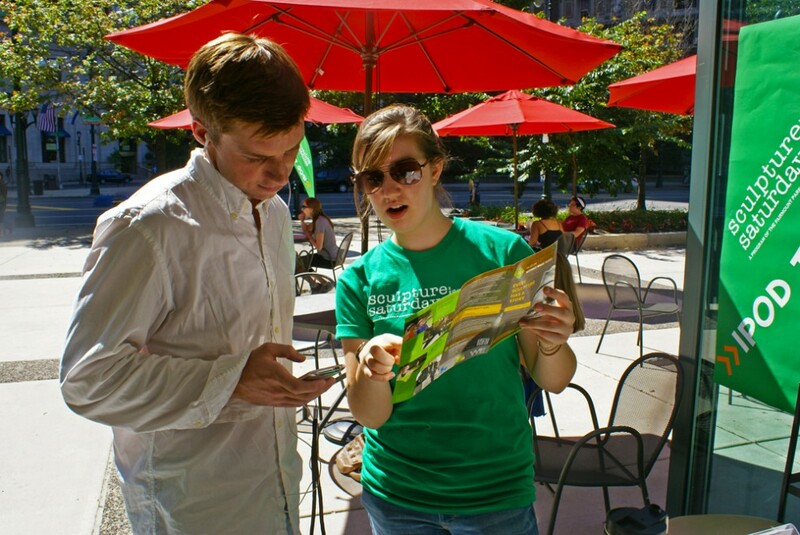 A team of Public Art Ambassadors – our “mobile docent squad” – in bright green shirts were on hand along the Parkway and Kelly Drive to answer questions about nearby public artworks, distribute Museum Without Walls™: AUDIO guides, and assist those interested in hearing the outdoor sculpture audio programs on their phone or mp3 player. The team of “Public Art Ambassadors.” Photo Caitlin Martin © 2010 for the Association for Public Art. 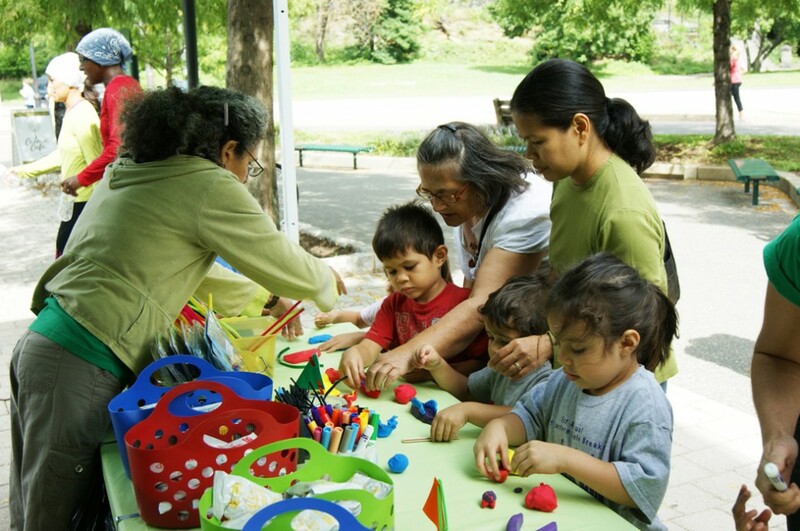 Families participate in a sculpture making workshop at Sculpture Saturdays. Photo Caitlin Martin © 2011 for the Association for Public Art. 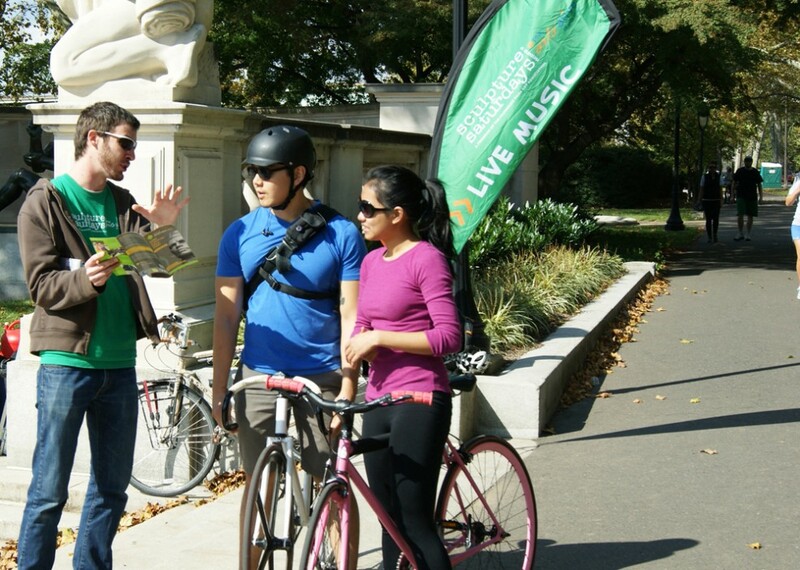 A Public Art Ambassador shows cyclists how to access aPA's Museum Without Walls™: AUDIO program. Photo Caitlin Martin © 2011 for the Association for Public Art. Sculpture Saturdays iPod rentals. Photo Caitlin Martin © 2010 for the Association for Public Art. A Public Art Ambassador explains how to experience the aPA's Museum Without Walls™: AUDIO program. Photo Caitlin Martin © 2010 for the Association for Public Art. 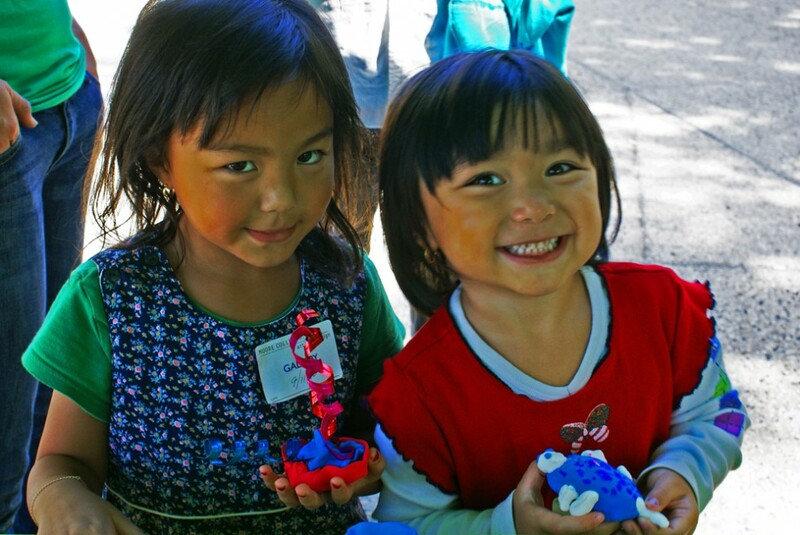 Children show off the sculptures they've created at a sculpture making workshop. Photo Caitlin Martin © 2010 for the Association for Public Art.